Having never been to Chicago, I was really excited when I found out that we’d be taking INTEGRATE to the Windy City this year. And Chicago didn’t disappoint. I had deep-dish pizza, walked the Magnificent Mile and saw The Bean. Were you actually in Chicago if you didn’t take a picture with The Bean? During the months and months of planning for the event, it felt like the conference would never be here, and then all of a sudden we were in Chicago. Well not all of a sudden exactly. We drove. Yes, you may take a moment to praise the IMC team for their sainthood now. The drive wasn’t actually that bad, but it is never fun being in a car for 9 hours twice in the span of four days. But, I had a blast in Chicago and at INTEGRATE Chicago. I was able to meet current students, graduates, instructors and friends of West Virginia University—and that made being in a car for over 18 hours completely worth it. I chose to work in higher education because it’s a passion of mine. But as I progress in my career, I realize that it’s not just the industry I like. For me, it’s the people. It’s hearing students and alumni talk about the impact an institution has had on their lives. It’s the connections that I’m able to make and the small impact I make through helping people tell their stories and inspire others. Here we all are after INTEGRATE Chicago. how they can come away with the latest IMC strategies and techniques because it’s true. What we don’t really say is why it’s so beneficial for us, the IMC team. It gives our work meaning to see people come together, learn and enjoy themselves. Yes, INTEGRATE is exhausting. Yes, I often feel like a zombie after. But seeing and interacting with students, alumni and faculty reminds me why I do what I do, and for that I’m grateful. So thank you to everyone who came to INTEGRATE Chicago, not only because you made us have a successful event, but because we like to see you. And thank you for keeping us passionate about what we do. Ally Kennedy is the communications manager for WVU Reed College of Media’s online programs. 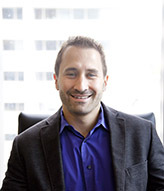 Joe Cohen is the Senior vice president of communications for KIND Healthy Snacks. He was kind enough to answer a few questions for the student blog, you can also read more about Joe here. Q1. Last year #kindawesome set out to engage customers in acts of kindness, tell us how this program came to be? At KIND, we’re always seeking new and creative ways to make kindness a state of mind. It’s been that way since 2004 when our founder Daniel Lubetzky launched KIND and the company immediately became a pioneer in both the healthy snacking and purpose-driven brand categories. In 2013, we first introduced #kindawesome as a program to empower our team to spot and celebrate acts of kindness happening around them. When a team member witnesses a kind act, big or small, we give the person a #kindawesome card that they can redeem online for KIND Snacks as a “thank you” for being kind along with a #kindawesome card to pay it forward. Last year, timed to World Kindness Day on November 12, we scaled up the #kindawesome program by creating digital versions of the cards to empower our fans to help in spotting and celebrating kindness. Simultaneously on World Kindness Day, our team brought to life KIND acts all over the country through regional activities like spreading the importance of kindness in preschools and delivering care packages to the elderly. The campaign became the most expansive grassroots activation in KIND’s history and a great moment in our ongoing effort to recognize and celebrate kindness. Q2. Does KIND use influencers, if so please tell us a little bit about that? KIND has an incredibly passionate base of fans and this includes influencers ranging from actors and athletes to health and wellness experts to social media stars. When it comes to formal influencer partnerships and programs, we only work with individuals who we know to be fans and supporters of KIND – it’s very important to us that every influencer relationship begins with an authentic passion for our brand. Q3. Recently the FDA has been looking at the definition of healthy snacks, would you tell us about KIND’s involvement in the conversation surrounding this topic? To begin, we commend the FDA for its decision to reevaluate the regulatory definition of healthy which was introduced with the best intentions more than twenty years ago but has since become outdated. The announcement that the FDA will reevaluate healthy generated a great deal of conversation in the media, as well as the health and nutrition communities, as did the agency’s affirmation that KIND can use healthy on our wrappers again – just as we had it before – in connection with our corporate philosophy but not as a nutrient content claim. KIND’s involvement in this conversation began more than 13 months ago when we received a warning letter from the FDA asking for us to remove the term healthy from the back wrapper of four KIND bars, and that also pointed to a number of items that have since been corrected. We quickly brought our packaging to compliance while at the same time studying the regulatory definition of healthy. We learned that the current standard was introduced when the benefits of consuming “good fats,” like those in nuts (a key ingredient in many KIND Snacks), were not fully understood. Under the regulation, foods like fat-free chocolate pudding and children’s sugary cereal can bear a healthy nutrient claim but foods like nuts and avocados can’t. None of this made much sense to us, so last December we filed a Citizen Petition with top health and nutrition experts respectfully calling for FDA to update its guidance. Since KIND filed the Petition, momentum has been building. From leading nutrition experts to Senators and members of the House of Representatives, there is a rising call to update the regulatory definition of healthy. Our team continues to maintain an open and collaborative dialogue with the FDA and, while we know it will take time, we are optimistic that the regulation will be updated to better align with current science and existing dietary guidance. Q4. You’ve been at KIND for almost two years, prior to that you spent 15 years at a PR agency. What differences did you see between agency PR and in-house PR? Were there any surprises? Whether you are in-house or at an agency, the core tenets of communications remains the same. There are, of course, differences. One of the aspects that I loved about agency life was the creativity and adrenaline rush that came with managing multiple accounts and teams, and the thrill of the competition when pitching new business. Additionally a big part of the reason why I stayed in the agency game for so long was the great culture and team in place at MWW. Working on the in-house side is also very deeply rewarding, particularly at a company like KIND where I am helping to promote an incredible product and advance a social mission that resonates very deeply with me. Additionally, part of what I like about working on the corporate side is that you’re able to go much deeper and understand the nuances and intricacies of the business at a level that just isn’t possible when working within an agency. Regarding surprises, I had heard that the pace of working in-house versus at an agency is much slower and more methodical. This isn’t necessarily the case at KIND which has a fast-paced and highly creative environment. The day also happens to go by quickly when you love the work and the people, and at KIND I’m fortunate to have both. Q5. Earlier this year you received the Philip Dorf Award, which honors individuals who lead, guide and selflessly counsel and stimulate the careers of PR professionals. Congratulations. What advice do you bestow on young PR practitioners or those just graduating? I’ve been privileged to have had incredible mentors like MWW CEO Michael Kempner, ConAgra CCO Jon Harris and KIND CEO Daniel Lubetzky, who have had a profound impact on my growth as a person and as a professional. My advice to young professionals is to actively seek, adopt and embrace mentorship experiences. Identify individuals who you find to be impressive and admirable and make a proactive effort to get to know and learn from them. Also, look for ways to extend your network. Get involved in groups like PRSA where you can meet and learn from new people, expand your skill sets and broaden your perspective of your industry. Q6. What changes do you see within the PR practice in the next five years? The profession itself will become increasingly competitive as more enter the field. Communications pros will be challenged to continually refresh and enhance their skill sets and knowledge base or risk being left behind as the media and business landscape continues to remain in a near-constant state of evolution. Additionally, the lines will continue to blur between the disciplines and there will be less traditional PR firms and more integrated marketing shops – this will also extend to the way PR is housed within corporations. Continuing education will be essential and communications professionals who today are deepening their expertise in brand marketing, integrated marketing and data and analytics, will be better positioned for success. Q7. Please share a favorite quote or person who inspires you? I feel like I’m forgetting something. I keep reaching for my computer thinking that I have copy to write, an ad to design, or a budget to adjust. The reality is that I’m not missing anything. My final IMC campaign for St. Jude Children’s Research Hospital is uploaded and in the mail. I’d be lying if I told you submitting the campaign was all sunshine and puppies. I needed a reality check after I submitted it because I was worried that someone was going to steal the mailbox…yes…the entire mailbox. Putting everything you have into a campaign for roughly nine weeks takes a toll on you. I’m still working on processing the fact that I’m actually done, but as I reflect on my 3 years (90 weeks of class) in the program I wanted to share what I learned. Plan, but don’t over plan. I LOVE to plan. I’m the kind of person that enjoys planning their free time. When I started the program I went through and planned out my entire schedule. I picked and scheduled all of my classes including my electives. While planning my academic future was beneficial, as I moved through the program my areas of interest changed. As I learned more about different areas of IMC I wished I could go back and change some of my electives. I will say it’s a good idea take your electives when they’re offered (because they’re not offered every term), but keep in mind that your interests may change over the course of the program. Remember why you’re doing this. Prior to enrolling in the WVU IMC program I told a friend of mine that I would never get a master’s degree. As I started to change my mind I looked at the WVU IMC curriculum and my mouth started watering. I fell in love with the content and immediately made connections between what I was doing at work and what was being offered in classes. I started this program because I wanted to grow as a professional. I didn’t start the program to earn As in all of my classes. It can be easy to get wrapped up in grades and making sure you get a 10/10 on discussion posts, but that’s not why we are here. Think back to your undergraduate days. Do you remember every single assignment in which you didn’t earn the grade you wanted? You’ll forget about grades, but you won’t forget about putting in the work and getting everything you can out of your time in the program. Get to know your professors: When I met Prof. Sader for the first time at INTEGRATE 2015 he told me that I worried too much. He was 100% correct. He also told me that he was there to be a mentor for me and not just give me a grade. He encouraged me to reach out with questions or problems. Professors actually want to help you grow as a professional. I didn’t take advantage of that enough while I was in the program. They want to get to know you and help you learn everything you can. Take advantage of that because you may not be able to find those resources elsewhere. Go to INTEGRATE! This is a big one. My entire graduate experience changed when I went to INTEGRATE. The second I stepped on campus I felt like a Mountaineer. You can’t get that feeling unless you visit campus. INTEGRATE is a fantastic conference. You get to meet classmates, build relationships, and talk to professors and program administrators, while hearing from amazing industry professionals. The first year I went I traveled by myself and knew no one in the program. Now, I’m in a book club with WVU IMC alumni and get to talk marketing with them every month. You never know who you’ll get to meet and connect with, so take advantage of it! Fill out course evaluations. I know this sounds like a plug on behalf of the program, but I promise you it’s not. My life motto is that I can’t complain about things I have the power to change but decide not to. So I either stop complaining or step up and do something about it. We have the power to implement positive change in the program, but change cannot happen if we don’t use the right channels. Develop your voice and personal brand. I’ve already shared my thoughts on personal branding, so I won’t bore you with that again. But, I will say that this is the time to experiment with your voice and your style. Use this as an opportunity show your style in a professional way. I’m sure if I sat here long enough I could come up with 100 more things to keep in mind, but that I think it’s time to wrap things up. If you’ve made it this far I want to say thank you. Thank you for reading my thoughts over the past few years and thank you for sharing yours. To all of you in the program – best of luck. You can absolutely do this and you will be a stronger marketer for it. Reach out to alumni if you need anything, we are nerdy marketers who love to connect with students in the program. If you weren’t at #INTEGRATE this year or if you weren’t able to have your resume reviewed, here are a few resume pointers shared by the IMC professors. Pay attention to consistency. You want to make the best first impression, so make sure your format, font, and framework is consistent throughout your resume. View your resume as a living document: Make sure you have an offline (traditional resume) and online resume (ex. integrated website tying into social media work, profiles, and examples of work) as well. But, both of these documents have to be connected with each other. I am a huge fan of people listing a wordpress site or LinkedIn profile so employers can see the multiple dimensions of an applicant. If you are asked to limit your resume to a page, then build out your LinkedIn page or personal website to promote your professional and/or academic accomplishments. Be sure to have specific objectives rather than broad, meaningless terms. Customize the objectives so they are in alignment with the position you are applying for. Once you build or update that resume, put it to use! 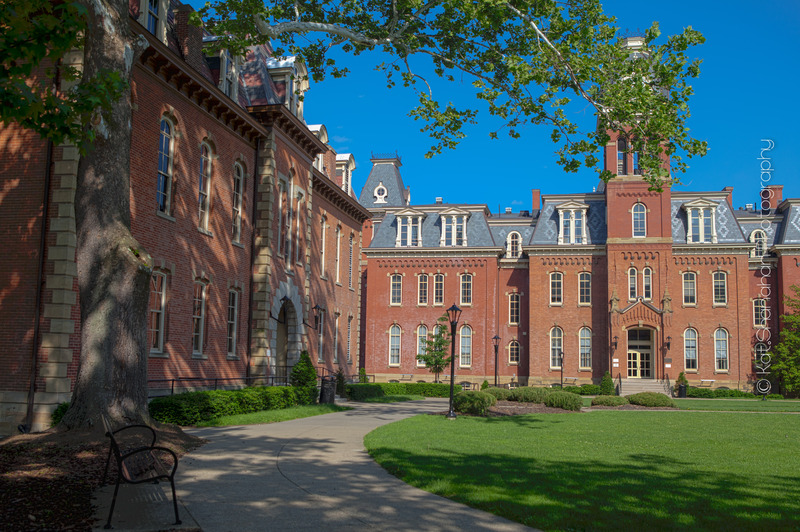 If you’re looking for a new position, the WVU IMC job board is updated every Friday, and is full of outstanding opportunities. If you did have your resume reviewed today, please add some of the best practice tips you received in the comments section below! Culture can make or break a company. It sets the tone for everything from how a team interacts to how customers are treated and to how new hires are made. Culture helps to sustain employee enthusiasm, and thus aids in productivity. Today, every organization is looking to hire the brightest and best employees to help forward their business – and company culture can be employed as a powerful and important recruiting tool! Successful companies understand the values that are core to their culture. They don’t only look for talent in new employees, but they also consistently hire people who will practice those values and project that image effortlessly. Below, IMC Professor Kohler shares his thoughts in a Q&A about building company culture and the important role it plays in the hiring process. Question: What advice would you offer a company that is looking to build a stronger company culture? The good news for any company that expresses interest in strengthening its culture is that they’ve already taken a step in the right direction. You have to want it, and saying so sets the right tone. Culture change takes patience. A nuclear solution may seem tempting, especially if the organization is confronting some toxic issues, but developing a game plan and then executing incrementally has the greater chance for success. Incremental doesn’t have to mean slow. To satisfy those favoring urgency, I offer this reminder, that the enemy of a good plan is the perfect plan. There’s no need to wait for an exhaustive, fully-baked plan if there are small steps that can send positive signals to the workforce and start to make a difference. Question: How can internal communications aid in developing a company culture? In matters of culture and branding, you have to look to the core of the organization. Top-down communication is a business reality, and not a negative one. But in order for top-down to be effective, it must start at the top but then be two-way and transparent. The workforce looks to its leaders to set the agenda, and buy-in happens when employees are trusted and respected to be “in on” the game plan. Employees feel trusted when their managers engage in real dialogue with them about the business. Meaning and purpose are much bigger factors in an increasingly millennial workforce. A CEO Corner of the newsletter means nothing without evidence that actual dialogue is happening in the organization. Our imperative as professional communicators is to act in an ambassador role and facilitate the dialogue. Question: Why is it important for companies to infuse culture into their hiring process? “Hire for fit” is a philosophy that I wish more companies would practice. Some may say they like to hire for it, but when they rely on keyword matching to identify qualified candidates, they’re likely to miss back stories of candidates who would be ideal matches for their culture. The same applies to the interview process. The employer and the candidate need to be candid with one another to make sure they share matching values. That doesn’t mean there’s a textbook values statement that fits every employer. Both parties just need to know what those values are. Question: Which companies do you think do this best and why? Thanks to my internal brand communication students, I get to vicariously experience the “greatest hits” of the business world in terms of strong, positive cultures. Some of the most noted success stories, of course, are companies like Google and Zappos. They are famous for their incredibly progressive work conditions, things like game play, flex time and other perks. But I don’t think that’s the whole story. I know of fast-food and even beef-packing plants that have strong cultures that are based on human relations – just treating people with trust and respect. Question: Can you share a resource or two that can help students that are interested in learning more about the impact the internal communications and culture have on hiring the best employees? Two recently published books come to mind, partly because I know the authors and have benefitted directly from their fantastic teaching. The first is Ripple: A Field Manual for Leadership That Works by Chris Hutchinson of The Trebuchet Group. Chris has helped many dysfunctional organizations get their act together. Another is David Firth’s Change Your Organization One Word at a Time. David transforms organizations from “have to go to work” to “want to go to work” cultures. Professor Michael Kohler was just recognized at #INTEGRATE2015 as the winner of the Alexia Vanides IMC Teaching Award, an award based solely on student nominations. Speaking from personal experience, he is an extremely inspiring educator, advisor and mentor. He pushes students to be their best and I’m thrilled to see him as the recipient of the award this year. Professor Kohler teaches Internal Communications as an IMC elective and if you are interested in employee engagement, internal communications and company culture it’s the elective for you. If you’ve already graduated or don’t have any more electives left, read Inside the organization: Perspectives on employee communications by Jack LeMenager, one of the class textbooks. It is a quick read that provides an outstanding overview of the importance and impact that internal communications and culture creation have on a company. While sometimes overlooked in the IMC landscape, Internal Communications and company culture impact everything from talent recruitment to employee productivity and marketing transparency. Don’t forget how important it is! The tweet-worthy quote Steve shared with me in the interview below highlights the quality of thought leadership content that will be shared with attendees at the INTEGRATE conference. Registration is still open. However, early bird rates end on March 31st. 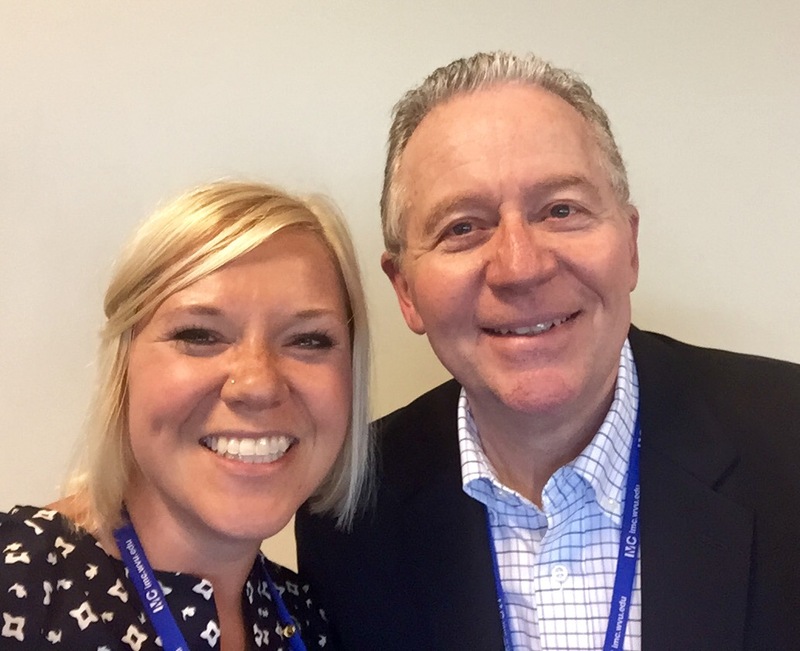 @Julie_Long_: On your blog you stated, “Integrated marketing involves a lot more than simply bringing the SEO guy to the meeting.” How do you define IMC and who should be attending meetings? @sradick: There’s this misperception in the industry that integrated marketing means having a bunch of boxes on an org chart. Just because you have a Director of Search, and a VP of Media, a Director of PR, a Senior Social Media Strategist, and a User Experience Czar doesn’t mean that you’ve got an integrated marketing agency. You’re actually more likely to have an old-fashioned game of Hungry Hungry Hippos on your hands – everyone’s scratching and clawing to get more money and power for their respective discipline. Integrated marketing is about more than giving each department a seat at the table – it’s about making sure the people in those seats are more concerned with the business than themselves. If you focus only on involving people because of where they are on the org chart, you’ll get people who build from the bottom up. That is, the social media guy thinks social media will solve everything. The paid media guy wants a paid media solution. And so on and so on. You end up with a bunch of strategies and tactics that someone then has to cobble together into a single, coherent strategy. Shouldn’t we instead strive to build strategies from the top down? Get the people in the room who are focused on meeting the business objectives first, not his or her line of business. Integrated marketing can’t be a mandate. It has to be a mindset. @Julie_Long_: At INTEGRATE 2015, your presentation will be focusing on the arms race currently taking place in content marketing. Can you tease us with any of the topic areas that will be discussed? @sradick: Just like the hammer in search of a nail, marketers are spending more and more of their time and energy reducing every conversation, article, and photo to a piece of data, all in an effort to maximize their ROI and deliver the most eyeballs at the lowest price. There was a time wayyyy back when, in 2010, when content marketing best practices were to write a blog post and post to Facebook 3-4 times a week. As more content was created, it became harder and harder to stand out though. Marketers took this as a challenge and figured that the best way to solve this problem was to pump out even more content. The more you post, the more chances there are of people seeing it right? Instead of a world where brands created content that solved problems, added value, or created deeper relationships with customers, we created a world where more simply equals better. That’s why there’s so much spam and so many banner ads. It’s easier to spam a million people in the hopes that 1% of them will click rather than creating something valuable for 50,000 people where 20% will click. Where does it stop? Content marketing gives us the opportunity to rethink how brands market themselves for the better – if we can stop ourselves from trying to game the system and instead think about how to best optimize our relationships with our customers. @Julie_Long_: Students/Alums: Submit one career advancement question for Steve and the winning question will be personally answered by him at INTEGRATE. Post your question in the comments section below. A special thank you goes out to Steve for taking the time to provide his thoughtful contributions to this article. How many times have you encountered marketing efforts that epically fail to deliver value to customers? Failed marketing efforts come in all shapes and sizes. Brands that continue to rely on the old bait-and-switch marketing tactic may get customers in the door, but the failure to deliver value will not keep customers coming back for more. As savvy customers, we expect more from brands. Customers, like myself, want brands to be transparent. A smart transparent brand would not even bother advertising a sub-standard product to a repeat customer. Brands that still rely on advertising or promotional tactics without providing any value-add content need to become more mindful of the wants, needs, and desires of their customers. Otherwise, they simply become irrelevant. Lisa defines a mindful marketer as a “leader who influences the hearts and minds of others to improve their condition, or the world at large.” To make better decisions, she encourages marketers to find their Inner Marketing Guru (IMG). Contrary to what today’s technology and consulting providers will tell you, big data and quick promotional wins to get customers in the door will not win over your customers. Instead of encouraging marketers to do more, Lisa suggests you need to be more; to cultivate your inner wisdom. 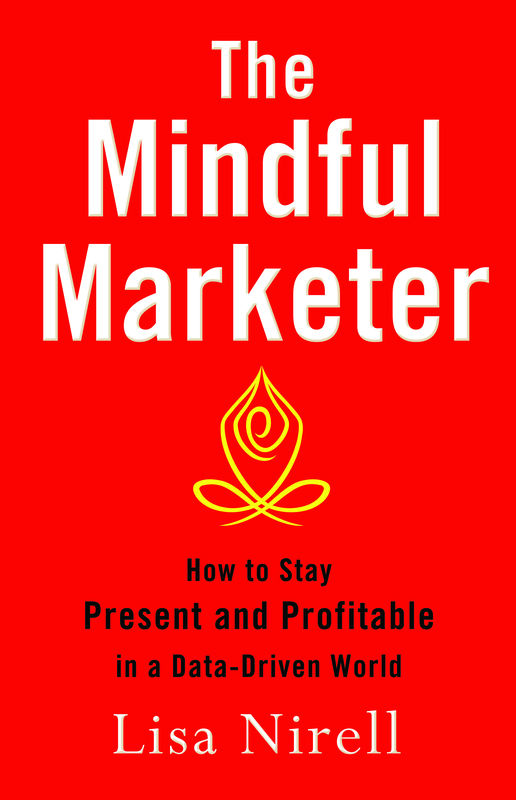 I highly recommend reading The Mindful Marketer! The book is divided into three sections consisting of twenty-two chapters. The opening chapter titled, “Why CMOs Are Facing Extinction” helps to set the tone of this no-holds-barred book. Within each chapter, Lisa presents contemporary examples that will validate and confirm your feelings on the existing power struggle plaguing many marketing departments. At the close of each chapter, she poses a question to readers to help them to find their Inner Marketing Guru. 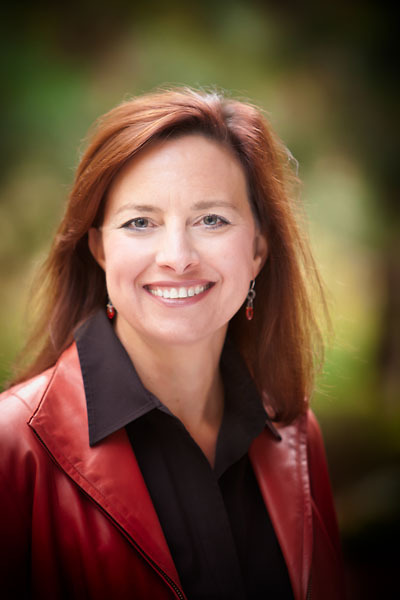 @Julie_Long_: What can attendees expect from your presentation at INTEGRATE? @Julie_Long_: I am looking forward to Lisa’s mindful session! I would also like to thank her for providing me a copy of The Mindful Marketer, which helped me to prepare this blog post. Be sure to follow Lisa on twitter (@lisa_nirell) and her complimentary book resources and videos here. Please join us at the INTEGRATE conference from May 29-30, 2015 in Morgantown, WV! Click here to register and learn more.